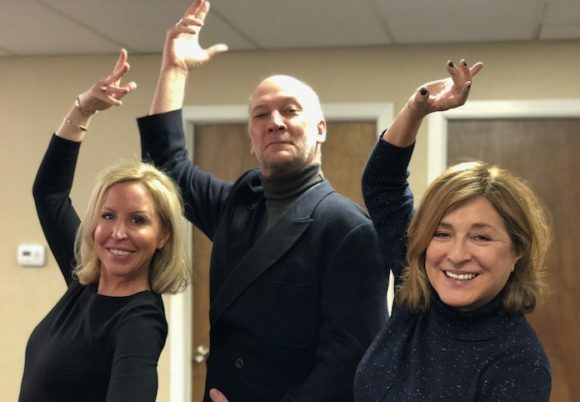 ESSEX — The Ivoryton Playhouse will open its 2018 season with a romantic fable that has enchanted audiences around the world for over 50 years. The Fantasticks by Tom Jones and Harvey Schmidt is a timeless tale of young love, shattered dreams and universal truths and it opens in Ivoryton on Wednesday, March 21. The show was first performed Off Broadway in May 1960 and ran for 42 years, making it the world’s longest running musical. It has helped launch the careers of Liza Minnelli, Glenn Close, F. Murray Abraham, Kristin Chenoweth, and even Ricardo Montalbán. The Fantasticks has been performed in 82 countries, and each year some 250 productions are mounted worldwide. Its themes — the blind passion of youth, the meddling of parents, the deepening of love through pain and struggle — are timeless and continue to captivate audiences everywhere. This intimate show with a bounty of catchy tunes and beautiful melodies, including the classic “Try to remember the kind of September …”, is a quintessential celebration of love in all its gorgeous simplicity and heartbreaking complexities. 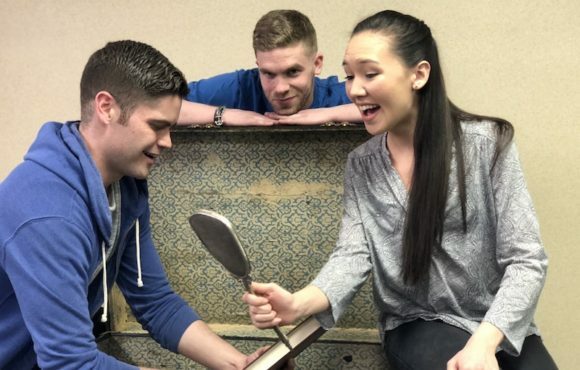 In rehearsal for The Fantasticks seen here are, from left to right, Ryan Bloomquist, Cory Candelet and Kimberley Immanuel*. David Pittsinger*, who has performed in Ivoryton to great critical acclaim as Emile de Becque in South Pacific, and Don Quixote in Man of La Mancha, will be playing the storyteller – El Gallo. He will be joined by his wife, Patricia Schuman*, Carly Callahan, R. Bruce Connelly*, William Clark, Kimberley Immanuel*, Ryan Bloomquist and Cory Candelet. The show is directed and choreographed by Brian Feehan, the set is designed by Martin Marchitto, lighting by Marcus Abbott and costumes by Elizabeth Cipollina. Musical direction is by Jill Brunelle. Don’t miss this opportunity to fall in love again and catch the magic one more time! The Fantasticks opens at the Ivoryton Playhouse runs through April 8. Performance times are Wednesday and Sunday matinees at 2 p.m. Evening performances are Wednesday and Thursday at 7:30 p.m., Friday and Saturday at 8 p.m. There will be no performance on Easter Sunday, April 1 — the replacement show will be on Saturday, March 31, at 2 p.m.